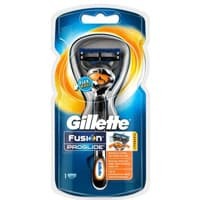 The Gillete Fusion ProGlide gives you the finest shave that you could ever ask for. Right now, Mr. Hyde are giving away 1000 free Gillette Fusion ProGlide razors, so apply fast to have the chance to get your freebie. To get this freebie, click on “GET IT HERE” and then you will see Mr Hyde website, goto the bottom and click enter for a chance to win.